Pearl L. Courneya passed away peacefully in her sleep on January 22, 2018. Pearl was born on November 30, 1924, in Becker County to Martin and Grace (Baumgart) Bjornson. Pearl spent her childhood on the farm, attending Country School District 75. She attended Frazee High School and graduated from NDSU Independent Study, and then went on to Dakota Business College. Pearl was employed in the office of the Fargo Foundry (now Mid America Steel). While there, she met Dallas Evert and they were married in August of 1956. Dallas died in April of 1957. Pearl continued working at the Foundry until 1966, when she married Norman Courneya and moved to Detroit Lakes, MN. Norm died in 1971. Pearl moved back to Moorhead in 1975. She was employed in the office as Assistant Manager of the Fargo Elks Lodge for several years. In 1990, she began working part-time as Dining Manager for the Moorhead Senior Citizens Center and retired in December of 2002. Pearl married Wayne Kirmis in June of 1993. Pearl moved to Hendersonville, TN in 2017 and resided at the Hearth of Hendersonville until her death. 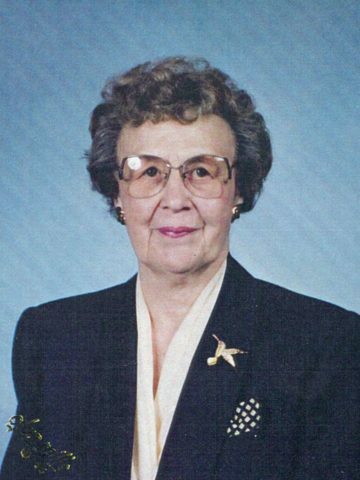 Pearl is survived by her husband, Wayne Kirmis, Park Rapids, MN; one daughter, Lori (Paul) Towne, Hendersonville, TN; two grandchildren, Nathan (Sara) Towne, Hendersonville, TN and Kesha (Kyle) Poland, Brighton, CO; two great-grandchildren, Emmett Ross and Ainsley Pearl Towne, Hendersonville, TN; one brother, Loren (Loretta) Bjornson, Clatskanie, OR and one sister-in-law, Beverly Bjornson, New Rockford, ND along with many nieces and nephews. She was preceded in death by her parents; one brother, Mervin, two sisters, Gladys and Ruby, a nephew, Jeff Bjornson and two brothers-in-law, Walter Roberts and Robert Hanna. A Celebration of Life will be held Friday, July 13, 2018, at 11:00 A.M., Lutheran Church of the Good Shepherd in Moorhead, MN.